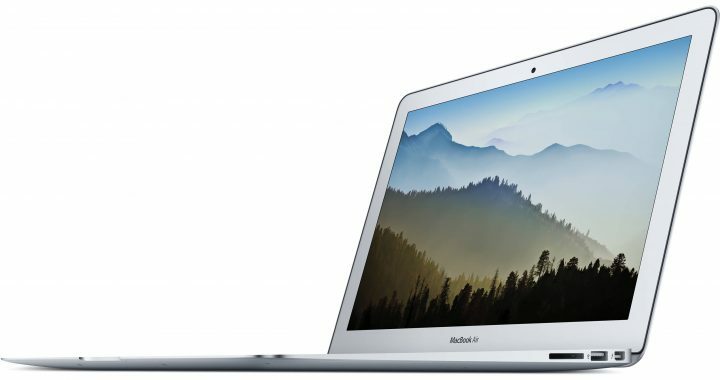 If you want a laptop that will last all day, the best thing to do is to invest in an Apple MacBook Air MQD42LL/A. It lasts up to a full twelve hours on a charge. Whether you have to go on a long trip or simply wish to have a machine that will last for the entire school or work day, this is an excellent choice. It’s also thin, light, and easy to carry around. It is encased in a thin 0.68-inch unibody design and weighs just under 3 pounds. Expect a fair amount of power with the Intel Core i5 processor, with its ability to go up to 2.9GHz with turbo speed. It’s a dual-core model with L3 – 3MB cache. There is 8GB of maximum RAM (1600MHz), which is pretty impressive for a laptop this thin. The multi-touch trackpad makes everything you do on this MacBook more precise and intuitive, whether it’s a four-finger pinch to view all of the apps in Launchpad, or a three-finger swipe to activate an important feature, such as Mission Control. Despite its thin size, the MQD42LL/A still features a full-size backlit keyboard, which provides an accurate and comfortable typing experience. Since it is backlit, you can type in settings with low-lighting. The brightness on both the keyboard and display automatically brighten as built-in ambient light sensors detect subtle changes in the lighting conditions. The Thunderbolt 2 and USB 3 technology allows you to have some fast, powerful connections. You can connect the Apple MacBook Air MQD42LL/A to just about any other device. Transform the laptop into a complete workstation. Interfaces include two USB 3.0 ports, the Thunderbolt 2, SDXC memory card reader, and headphone output. The Intel HD Graphics (6000) can handle most of the tasks you throw at the computer. From browsing the internet to editing photos, everything happens quickly and smoothly. A 720p camera is included as well as stereo speakers and two microphones. The dual mic setup is really handy, as it reduces background noise, allowing you to talk clearly when making FaceTime calls. There is a 256GB SSD PCIe drive for the storage. The display is a 13.3-inch LCD model with LED backlighting and a 1440 x 900 resolution (WXGA+). It features an image aspect ratio of 16:10. In addition to the nice display, the Apple MacBook Air MQD42LL/A has a sleek aluminum case. It comes with a AC adapter (45-watt output and 120/130 V input) and meets environment standards. Overall, it’s a great laptop that’s worth the investment – especially consider it’s built to last for a long time. Make sure you get your Apple coupons from a site that updates regularly so that you’ll be able to keep up with the newest and best deals. Get started right now and reduce the cost of your order with an Apple MacBook Air MQD42LL/A discount.